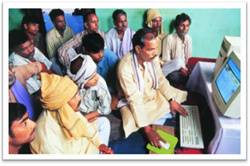 Village Knowledge Centres serve as information dissemination centre providing instant access to farmers to latest information/ knowledge available in the field of agriculture, starting from crop production to marketing. Every VKC is manned by a “VKC In-charge” who looks after the operations of the VKC. Development in a country as large and diverse as India poses special challenges. Our Bank has taken various initiatives to promote inclusive growth and to achieve sustainable development as our contribution towards nation building. VKC is one of the many pioneering initiatives taken by our Bank that aims at impacting rural livelihoods to build resourceful and progressive villages. 1st VKC of our Bank was set up in May, 2005. 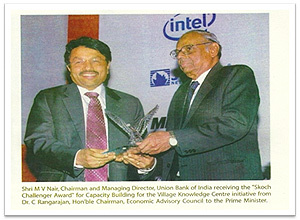 For this innovative initiative our Bank has been awarded the prestigious “Skoch Challenger Award” in March, 2007. Presently, we have more than 211 VKCs across the country. Achieving inclusive growth by empowering rural community with information, knowledge, and access to better livelihood opportunities. Imparting knowledge on new developments, improved methods of cultivation /technologies in the field of agriculture. Dissemination of weather data and agro climatic conditions, latest information on prices of agriculture produce to farmers. Imparting knowledge on diversification of Agriculture and developing Farm-based Enterprises. Formation of Self Help Groups and Farmers Clubs. Disseminating information about various government sponsored schemes. Coordinating with various Govt. departments for developmental activities. Financial counselling to the rural people for better management of their financial needs. Informing farmers about various schemes/products of our Bank suiting to their specific needs. Impart knowledge on new developments, improved methods of cultivation /technologies in the field of agriculture and dissemination of weather data and agro climatic conditions, latest information on prices of agriculture produce to farmers. Imparting knowledge on diversification of Agriculture and developing at least 2 Farm-based Enterprises in a village per year. Bring in positive change in the livelihood of at least 300 farmers in a year in the command area of a VKC by increased income levels and higher standards of living. Form at least 5 Self Help Groups per village in the command area of VKC. Provide constant support to the SHGs to ensure that at least 75% sustain beyond 6 months to become eligible for bank linkage. Enable the group to graduate economically for taking up income generating activities and increasing their credit absorption capacity. Form at least 1-2 Farmers Clubs per village in the command area of VKC. Create awareness in the command area villages about various government sponsored schemes to take benefit of subsidy/grants. Coordinating with Govt. departments to ensure flow of allocated funds under various developmental schemes to the villages. Ensure that every family in the command area villages has at least 1 active bank account. 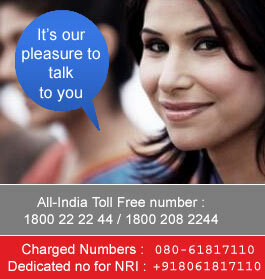 Provide financial counselling and inform about various schemes /products of our Bank to at least 5 people in a day. Special attention and counselling to the vulnerable people to come out of debt trap. Special attention and counselling for the vulnerable people who are heavily indebted to informal sources of finance and defaulter to Banks/FIs to come out of debt trap. Work as a relationship manager between the Bank and the farmers. Koundegoundanpalayam (K.G.Palayam) under VKC Negamam (RO COIMBATORE) was one among the lakhs of villages in India which was suffering from many ailments like poverty, illiteracy, unhealthy living conditions and the related social problems. In recent times, there has been a remarkable change in the living standard of the people living in this village and credit to this change goes to our VKC Negamam, RO Coimbatore. About the village: - A small village situated in the Coimbatore region, of our bank has a population of about 2770 as per 2001 census. 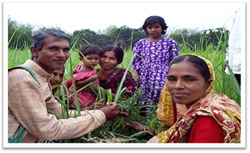 The main activity and source of livelihood for the village is agriculture. Apart form the other conventional crops which are grown here Coconut produced here is the best of quality and the yield of the same is also high in the area. The entire village is financially included with all the families having bank accounts and regularly saving part of their income as and when possible. Bank is getting good accounts and also large numbers of farmers are now able to avail loan for farming practices. i. Farmer club is provided with daily sheet calendar and telephone directory of important government departments and other service outlets. ii. A conference was conducted on natural fertilizer and manure and their importance in agriculture productivity. iii. A seminar was conducted in co-ordination with agriculture university and horticulture department attended by NABARD officials whereby an information souvenir was also released for the benefit of local farmers. iv. Representatives are send to NABARD sponsored camps for getting latest training on new agriculture developments and practices. v. A free cattle camp was organized with co-operation from Negamam Veterinary Hospital. vi. A seminar was conducted to cultivate Coco as an inter crop with Coconut to help farmers generate additional income. In this seminar representative from Cadbury India Ltd. distributed free Coco samplings and fertilizers. i. The roads of the villages are repaired and made easily accessible in co-ordination with government departments. ii. To recharge the underground water level rain water harvesting and preserving ponds are constructed in the farmer’s land and government subsidy is also made available. 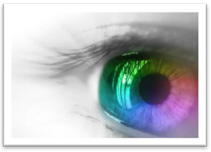 e. Health Awareness- Blood donation and free eye camps are conducted annually with help of nearby hospitals. with help of nearby hospitals. f. Education- For the past two years on Children’s Day meritorious students and honoured with prizes and certificates. An old students association is also formed at the school. g. Major Achievement- Our bank and the farmer’s club won the state level prize from NABARD for the Best Sponsor Bank and the Best Farmer’s Club. 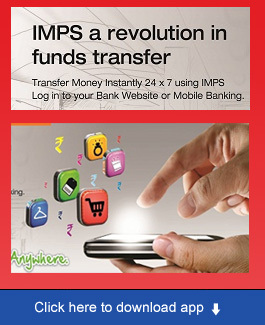 1st VKC of our Bank was set up in May, 2005. For this innovative initiative our Bank has been awarded the prestigious “Skoch Challenger Award” in March, 2007. Presently, we have more than 200 VKCs across the country. For all round socio economic development of villages, 101 villages across the country have been adopted through selected VKCs under "Union Adarsh Gram" project. 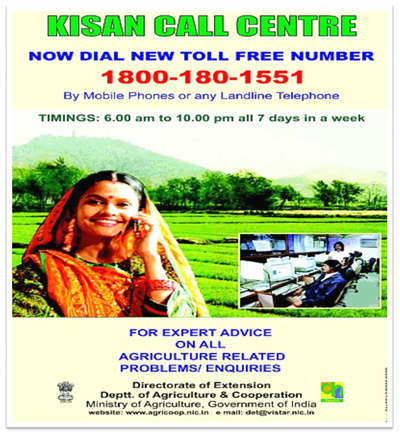 Kisan Call Center is a service provided free of cost by the Dept. Of Agriculture & Cooperation, Ministry of Agriculture, Government of India to address the issues raised by farmers in local languages. For addressing any issue that VKC In-charge is not in a position to solve, Kisan Call Center (1800-180-1551) can be contacted for instant solution of the problem. 2. 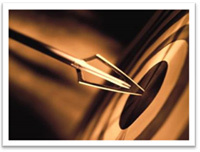 What we do at VKC? As part of commitment to the nation, Union Bank of India has opened 202 Village Knowledge Centres throughout the country for capacity building of rural people. For this innovative initiative our Bank has been awarded the prestigious “Skoch Challenger Award”. For all round socio economic development of villages, 101 villages across the country have been adopted through selected Village Knowledge Centres under "Union Adarsh Gram" project. 3. How many VKCs are currently operational? Currently 202 VKCs are operational.